Reflections on my experience on the trip at NEICSC. I grew up with an understanding of the value of serving others, and the positive impact it can have on the lives we touch. In my experience, I have no better example of this than in my work and fellowship in the fall break service trip to Northeast Iowa Christian Service Camp through the building of a new cabin for the community. I lived this service discovering many aspects. The people I was helping and the fellow volunteers gave me new insights. And, no matter what groups of people you’re working with, you’ll find that they have information and ways of looking at the world that can broaden your horizons. By experiencing the real world through hands-on work showed how important team work is, valuing the notion of working smarter not harder. It was eye-opening to realize that doing even small things can have a big impact on others. I enjoyed mounting the cabin windows where I had the task of leveling them into their frames. A little thing it was but appeared so crucial on the end-result. With it being exciting and extremely satisfying knowing that people could put their trust in you for accomplishing main tasks. 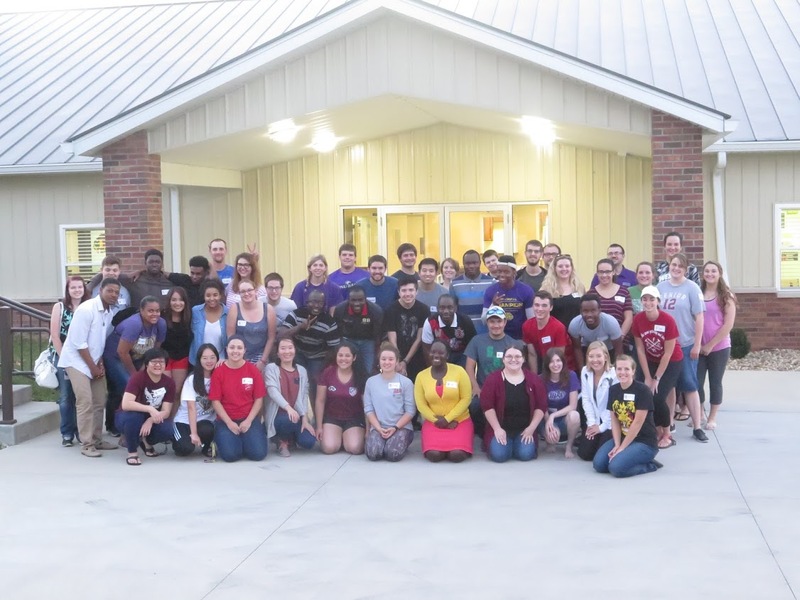 I learned from this experience in Northeast Iowa Christian Service Camp that people are not powerless; in fact, we have a great deal of potential. I observed people from all ages coming together with different talents to make a shelter rise! Even the puppies contributed by running around giving some joy to the workers. Through the volunteering, I grasp how empowering it is to realize how much zeal there is in your own life and how beautiful it is to share that with others in hopes of them discovering it themselves. Finally, another thing I learned from my experience is that time management is crucial to a successful volunteering venture. We already have so many demands of our time, work/college duties, midterm preparation, families and now you want us to add another story to our heaping building?! For many, there seems to be no time. But if you budget your time well, you will find that you can sufficiently set time for volunteering without compromising your other obligations. If you can pull a little off, you will learn how much beautiful and rewarding it is to serve a meaningful accomplishment for the community. CSC opened the door to a life time experience and the fellow CSCers contributed along, making it a wonderful journey. At all time we had a bit of joy to share by knowing each other better. Fellowshipping with them and with two other friends from Minnesota and Iowa left a memorable souvenir in my heart. And, that is how I spent my birthday. Click here to see pictures from the trip!